The first thing I did every morning was gaze over the Pacific Century Place courtyard from my spacious room that had some of the best natural light situations. Certainly, floor-to-ceiling windows never let you down and it's important to note that the décor was just as ace. Think meticulous attention to detail – contemporary furnishings, leather canopies and Japanese-lacquered doors and tabletops. And as if a walk-in closet wasn't quite enough, the room's spacious en suite featured a deep soaking tub that functioned to drown out all my worries. 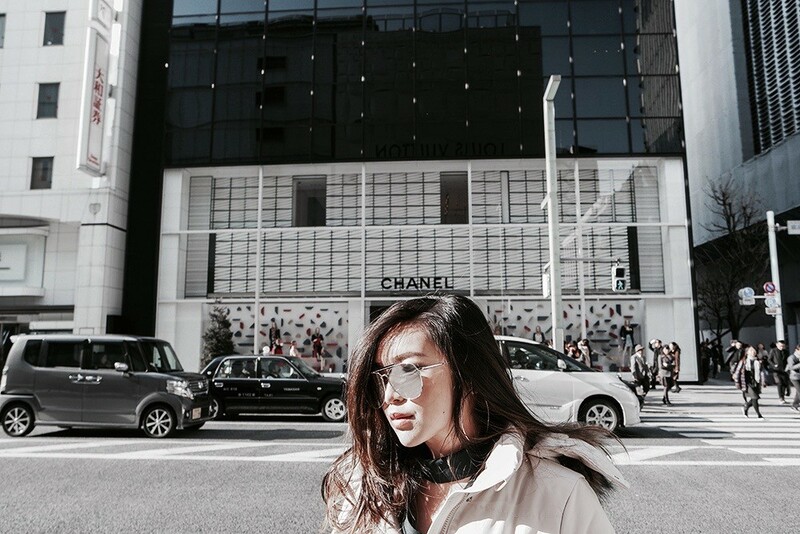 Surely it made sense to pay a daily visit to Ginza, one of the world's most prestigious shopping districts, since it was only a 5-10-minute walk. Here you'll find popular department stores like Matsuzaka-ya, Mitsukoshi and Matsuya among the array of high-street and luxury brands. Meanwhile if you've been itching to head towards Akihabara Electric District, the largest electronic shopping area in the world, it'll simply take you 4 minutes by rail. If you're more into apparel shopping and the busiest pedestrian crossing, however, the famous Shibuya district is only 17 minutes away by rail. Now, we come to one of my favourite conversation topics that is food and so it is only apt to highlight Four Season's MOTIF Restaurant and Bar. Offering a breathtaking view of the iconic Tokyo station and the historical Marunouchi business district, the French restaurant embraces the spirit of modern voyage and echoes the hotel's unique backdrop where past meets the present. For dinner, I had their signature MOTIF menu prepared by Head Chef Hiroyuki Asano and Culinary Advisor Chef Hiroshi Nakamichi, and frankly it exceeded expectations. After all, the restaurant is founded on the core principles of esprit terroir – spirit of earth, and highlights included the scallop that was breadcrumbed with shiso, the mouthwatering sea urchin flan with bisque, and the presentable surf clam sautéed with udo risotto. A ten course culinary experience and an overly satisfied stomach after, I came to the conclusion that it simply is what it is: a gastronomic journey that is uniquely MOTIF. Thank you for your wonderful hospitality, Four Seasons Hotel Tokyo at Marunouchi. Till we meet again.